Specifically created for motorcycle riders, Gear Gremlin’s new emergency first aid kit is light and compact, so it’s easy to carry. Carrying a first aid kit means that even those without any medical training have the essential items to treat common minor injuries, as well as a foil blanket, which is useful in cases of hypothermia, as well as coming in handy if your bike breaks down on a cold day! Packed inside the nylon pouch you will find adhesive plaster tape and adhesive plaster bandages, as well as a sterile dressing bandage and sterile burn compression bandage. The foil first aid blanket plus scissors, disposable gloves and an instruction booklet are also included. 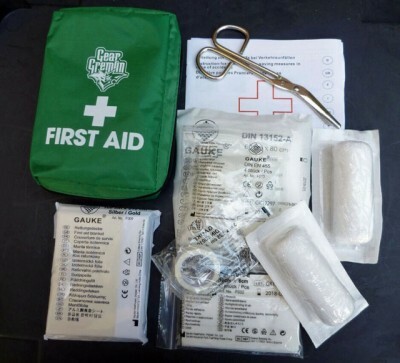 Measuring 15 x 10 x 5 cm and weighing less than 250 g, the Gear Gremlin First Aid Kit sells for £8.99 including VAT. Exclusively distributed by the Key Collection, there are more than 280 product lines within the Gear Gremlin range. NEW PRODUCT: Milano Sport Rapier four-season jacket. Quality construction and plenty of features at an entry-level price. 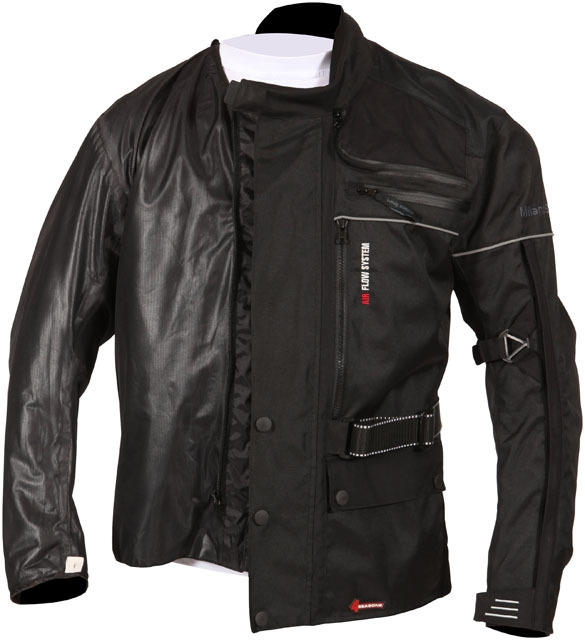 Milano Sport’s new Rapier jacket has a tough and durable 600 denier polymer outer shell, with a waterproof and breathable drop liner and thermal quilted liner too. Both liners can be removed and re-fitted easily and quickly, either individually or together. In addition to the three layers there are zipped venting sections at the chest, back and lower arms, providing cooling airflow in hot conditions. This combination of layers and vents provides the wearer with options to suit most types of weather experienced in European riding, making the Rapier suitable throughout the seasons. Impact protection is provided by CE approved armour to shoulders and elbows, while reflective stripes to chest, upper arms and back provide extra visibility in low-light conditions. No fewer than six pockets are available to the wearer, including two hand-warming pockets on the outside and an inside pocket for valuables that need to stay dry, such as wallet or mobile ‘phone. The Milano Sport Rapier is available in black in sizes S-3XL. Click here for price. Freelance Writer & Photographer Martin ‘Sticky’ Round has just completed what he describes as a “silly scooter trip to Istanbul”, covering 4,350km [2700 miles] on 3 vintage scooters carrying three adults and two children. 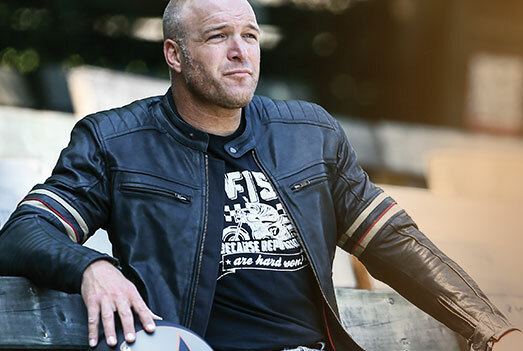 Here’s his verdict on the Draggin Jeans and Weise Jackets that they used. Our ‘raid’ visited 9 countries by scooter including Romania, Bulgaria, Turkey and a very brief visit to Albania. 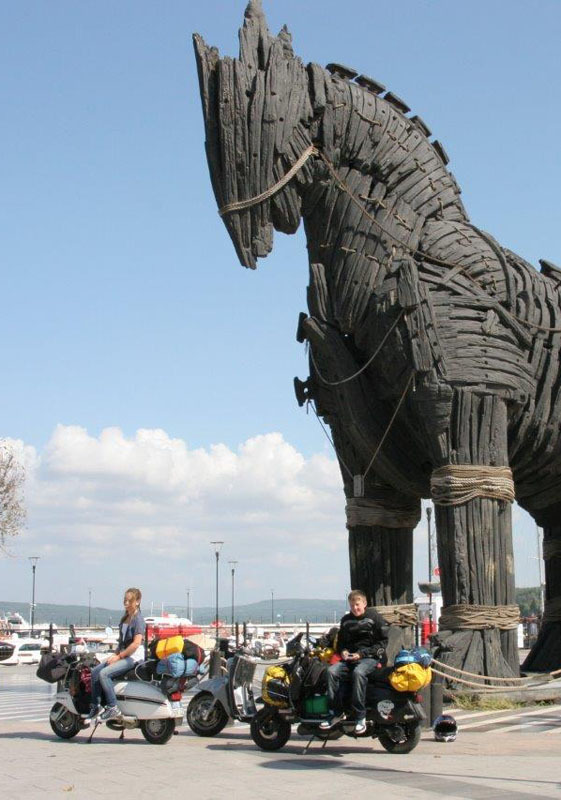 The highlights were probably riding the Transfagarasan Pass in Romania (one of the world’s greatest roads according to Top Gear) and a 5am sprint across the Bosphorous bridge from Europe into Asia to avoid the worst of Istanbul’s nightmare traffic. The Drayko and Draggin jeans we all wore were fantastic because they gave us the confidence to ride while having a good level of abrasion protection and comfort but still with the ability to jump straight off the bike and look casually dressed. Admittedly in the 30-41 degrees temperatures we had almost for the whole trip sometimes it was hard to put on jeans when everyone else was in shorts, flip-flops and riding without helmets, but I value my family’s safety enough to put up with a bit of heat. Their trip will be featured in Scootering Magazine if you want to read more about it – available from all good newsagents. 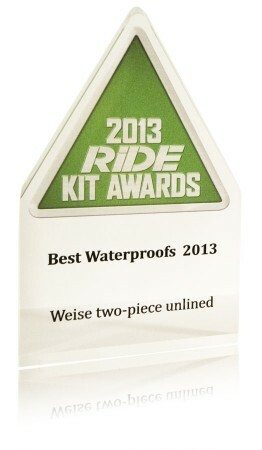 Weise has colected the RiDE Award for the Best waterproofs 2013. When tested back in July, the Weise® 2 Piece Suit scored full marks for waterproofing, time to put on and quality/features, carrying off the Best Buy triangle. “Does everything you’d expect very well and at a realistic price” is RiDE’s verdict.